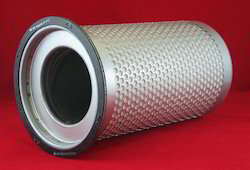 We have the experience and acumen to manufacture and supply a wide array of Compressor Spares. These products are tested as per the international standards of quality by our team of skilled and trained professionals before it is delivered to our clients. We also manufacture a wide range of these products in a customized form as per the requirements and specifications of our prestigious clients. This range comprises Compatible Spares for Hitachi & Kirloskar Compressors, Compatible Spares for Kg Khosla Compressors, Refrigeration Compressor Spares and Compatible Spares For Broomwade And Kirloskar Compressors. We are offering Ingersoll Rand Dresser Compressor Replacement Spares to our client. Samson International Marketing Agency is specializing in Broomwade and Kirloskar Compressors Compatible Parts. 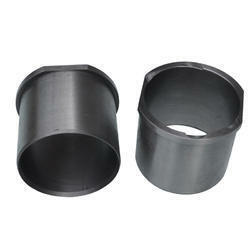 Our parts are dimensionally sound to the best quality and performance with our guarantee. Our expertise in spare parts for this range is widely acknowledged all over the world and we have a great market in this range of products. These Broomwade Models are internationally popular as BW2D, BWD - oil-free and lubricated as well. We are supplying a range of spares like O Rings, Washers, Valves, Valve Covers, Crankshafts, Conrods, Bearings etc. We are offering Compatible Spares for Chicago Pneumatic Compressors to our client. At Samson International Marketing Agency, we are specializing and supporting the complete range of spares for Atlas Copco Screw Compressors. 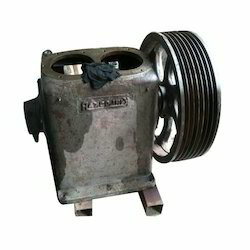 Samson International Marketing Agency has developed and grown with KG Khosla and Crespelle Compressors Compatible Spares. KG Khosla and Chappelle, France have jointly developed a range of Balance opposed Piston Compressors Reciprocating Compressors. We have all material for these compressors in stock. 1HA4BIST, 3HA4GT, 2HA2GT, 2HA2TER, HY, HA, HB, 3EHA4BISGT and many others. We are engaged in supplies of Refrigeration Compressor Spares to several dairy plants, food processing plants, cold storages and other servicing companies in India. We have identified, developed and grown on the Hitachi and Kirloskar Air Compressor Spares. Kirloskar Pneumatic Company and Hitachi, Japan have jointly developed a range of Balance opposed Piston (BOP) Type compressors. We at Samson are always carrying inventory for the range of below-mentioned models. 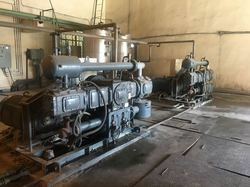 We are also experts in service, overhauling annual maintenance contracts for these air compressors. Looking for Compressor Spares ?